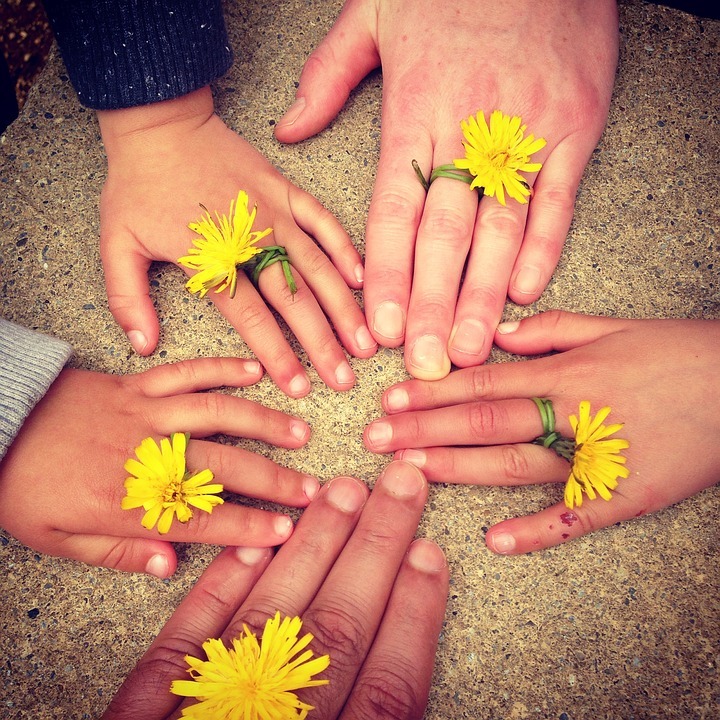 Family Fun in Orlando, Florida! 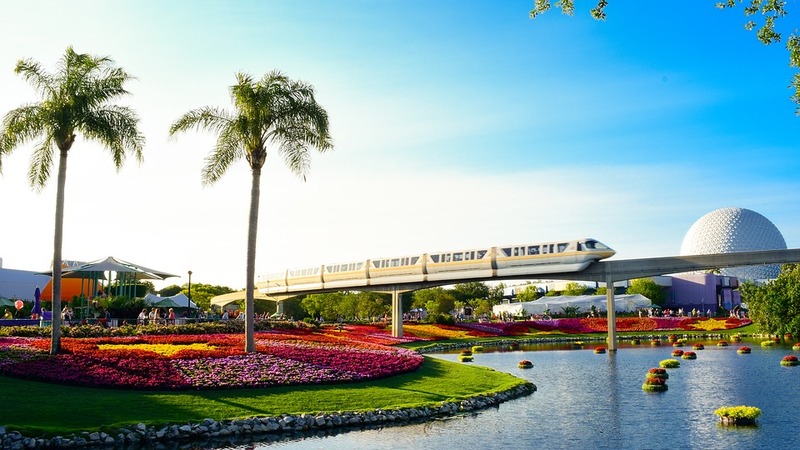 Going to Orlando is on most bucket lists, especially if you are a child. But, it’s not just for kids. Parents, Aunties, Uncles and friends will also enjoy Orlando. The central city of Florida has many exciting and interesting activities to do and see. 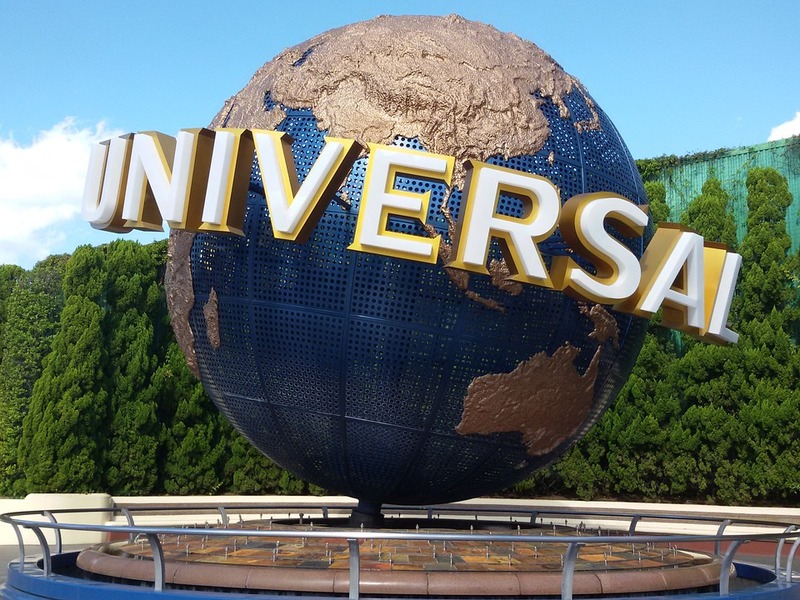 The film company Universal, known for Jurassic Park, The Mummy and Apollo 13, has two parks and one attraction for you to explore. All three, are located in the same resort and are within walking distance of one another. A lot of hotels on International Drive have a free shuttle bus to the resort. The parks are called Universal Studios, Universal Islands of Adventure and Universal City Walk, respectively. To feel like you’re actually stepping into the movies visit Universal Studios. While it is a theme park, it is a less traditional one as it’s not simply fast and furious rollercoasters. You get to experience what it’s like to make films and star in them. You can defend the planet against Aliens in the Men in Black ride and help the Simpsons to save Krustyland from an invader. However, if you want a boost of adrenaline, head to Universal Islands of Adventure. There most exhilarating ride is a giant green rollercoaster, The Hulk. There are a few outdoor water rides in Toon Lagoon, which is a great way to cool off in the summer months. You may also get a chance to meet your favourite Super Heroes! City Walk is the retail and entertainment centre of Universal. 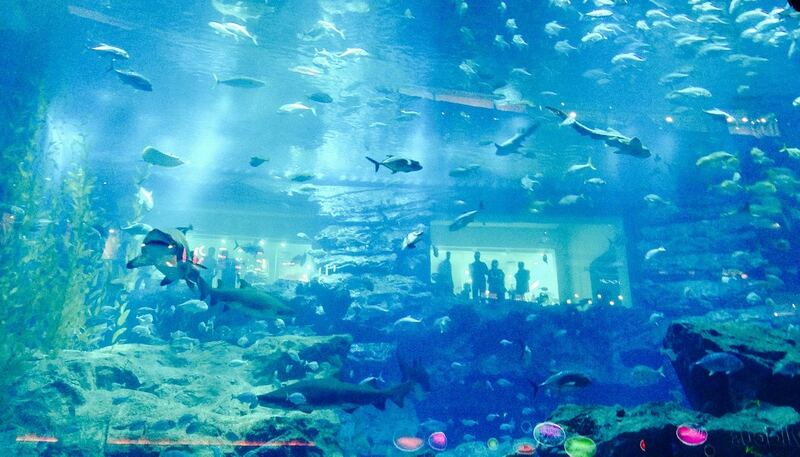 Here you will find plenty of shops and restaurants plus, an enormous modern cinema complex. It’s great for evening entertainment and for rainy days, if you are unlucky enough to get one. Next door to Universal Studios you can learn how to become a great wizard at The Wizarding World of Harry Potter. 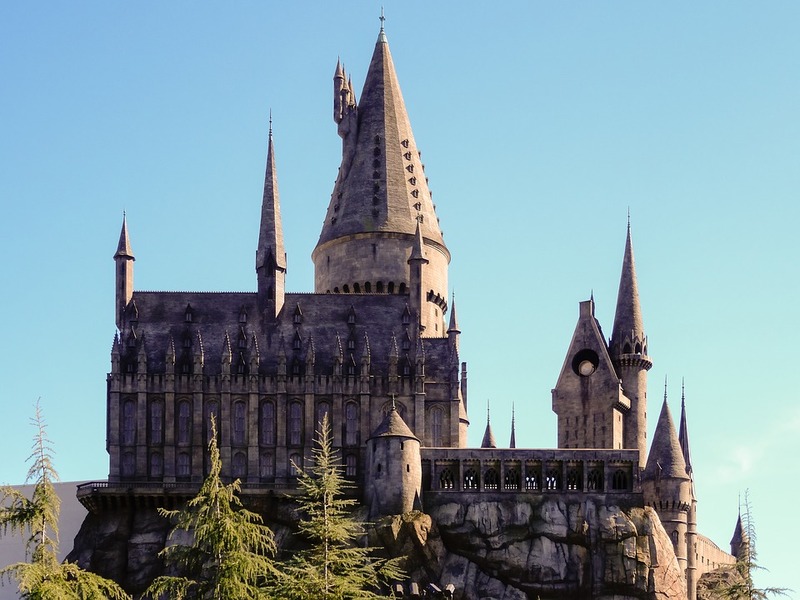 You can also walk the corridors of Hogwarts, drink a butterbeer in Hogsmeade and learn how to approach and ride a hippogriff. The heart-thumping rides and imagination enhancing attractions will give you safe passage to the magical adventures you saw at the cinema. The size of queues varies depending on the time of year you visit. Where possible collect a fast track ticket to avoid the long waits or get there as soon as the park opens. Disney is why Orlando is so famous so it would be ridiculous to go all that way and not visit the enchanting parks. Each park has something different to offer, like a pure princess experince, travelling the World and learning about animals. If possible schedule a visit to all of them! Magic Kingdom is where you can let your inner prince or princess roam free. Plan for a long day and stay until the epic fireworks display at Cinderella’s Castle. At Epcot, you can walk around the World in one day with visits to Mexico, China, Germany, Italy, Japan, Morocco and many more. Each country offers something educational and entertaining for the whole family. For another full day of fun go to Animal Kingdom, the largest of the parks, which is a zoo with a splash of Disney magic. 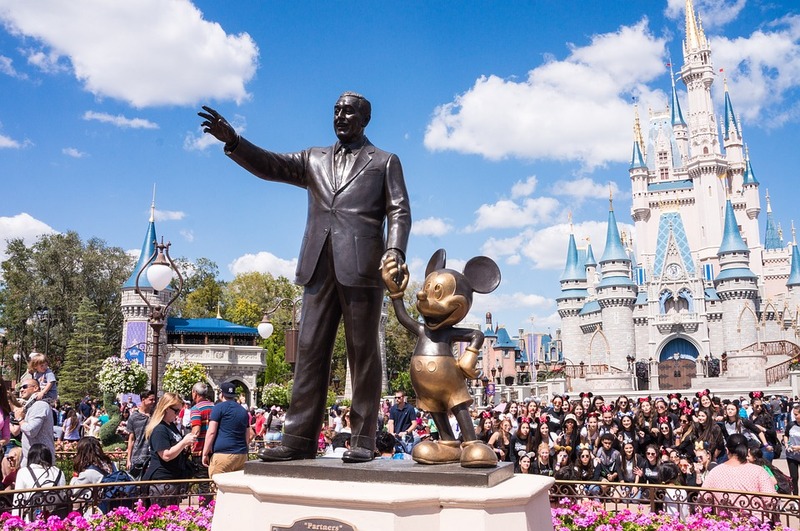 A park not to be missed is Disney’s Hollywood Studios, here you will meet your favourite characters, see shows that teach you how the amazing stunts from Indiana Jones are done and ride a few attractions based on such films as Toy Story and Star Wars. Disney also has two water a parks ideal for those hot summer days, Typhoon Lygoon and Blizzard Beach. So be sure to pack your swimsuit. At the Amway Centre you can experience Basketball and Ice Hockey. The local team that plays NBA Basketball is Orlando Magic. 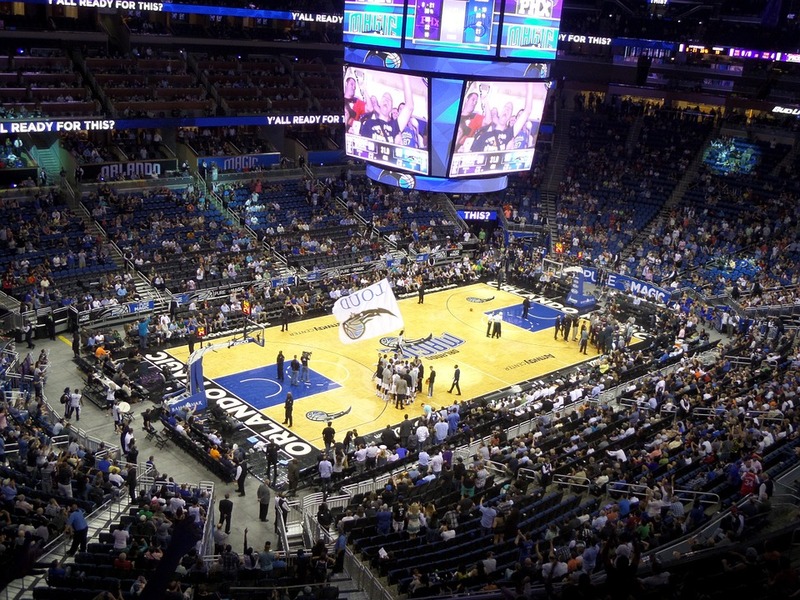 To see the Orlando Magic play is an experience you won’t ever forget. It’s the ultimate of sport shows – basketball, cheerleaders, competitions and songs. It’s a lot of fun! The NBA plays from October to April. This is the same time as the ice hockey session. If basketball isn’t your thing watch the Orlando Solar Bears. Away from the parks there is International Drive, this may be where you stay as hotels have great access to both Disney and Universal Studios. Along with a few shops and restaurants, international drive offers family entertainment in the form of Pirates Cove Adventure Golf, a miniature golf challenge from those aged 3 to 103. Alternatively, pretend you’re a world-famous car driver at I-Drive NASCAR. Drive an electric kart up to 45 mph around the race track and try to beat all your friends. Another great way to spend your time is at the I-Drive 360 attractions. Here you can ride a 400-foot-tall observation wheel, see your favourite celebrities in wax at Madame Tussauds Orlando and take a trip under water in the SEA LIFE Aquarium. Orlando is a great place to shop till you drop, especially if your local currency is stronger than the US dollar. If you are a lover of designer clothes and shoes take a trip to The Florida Mall. 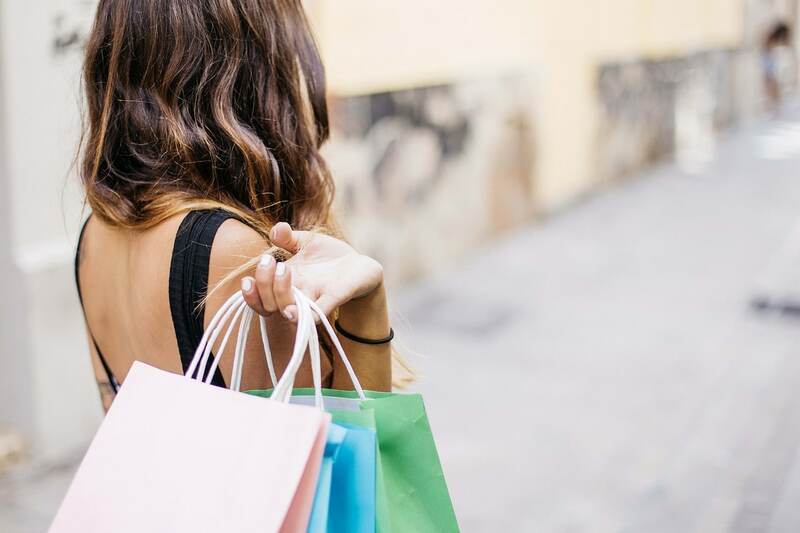 But if you love a bargain head to Orlando Premium Outlets on International Drive. Basically, Orlando has whatever your heart desires. You could stay there for a month and you would still have items on your list of things you want to do. Plan ahead to make sure you visit and experience your top choices. Orlando is such a great holiday experience that many people return year after year.